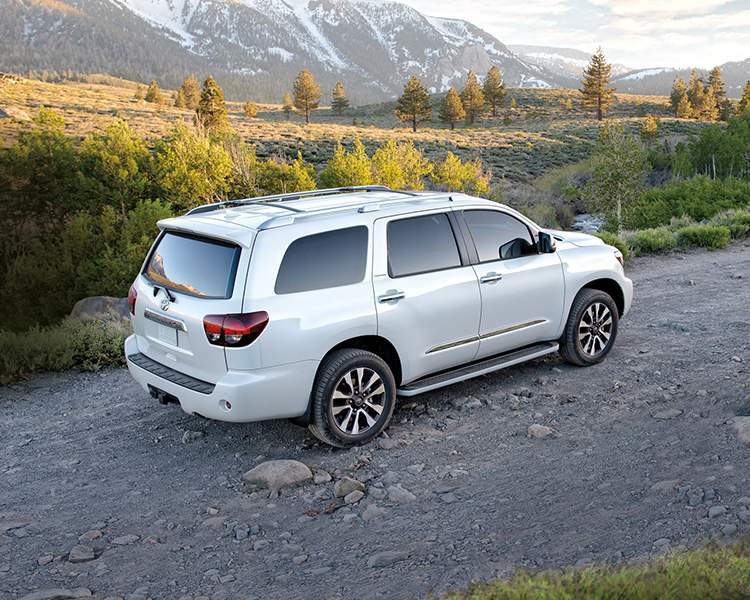 Broaden your horizons as you explore in the modern and capable 2018 Toyota Sequoia. Through its bold and powerful stance with four-doors and seating for eight, this model defines the adventurous lifestyle as it provides modern comfort and versatility. Available trim levels include the SR5, Limited and Platinum. Though it stands boldly on the exterior, the 2018 Toyota Sequoia presents you with a detail-oriented and elegant interior. Details such as the optional chrome vent knobs and wood grain trim elevated the sophistication of the design as you sit back on the front heated bucket seats with a 10-way power adjustable driver seat for optimal positioning. Provide your passengers with comfort through the available middle heated row seats as the 3-Zone Independent Automatic Climate Control allows you to set and maintain multiple temperatures through the cabin. Refined touch is found with the available leather-wrapped steering wheel and its mounted controls, as you access your settings without compromise. Another element you never have to compromise on in space as this luxurious and spacious cabin has been designed with many versatile features including the flexible 2nd and 3rd row. Strike a pose with the exterior of the 2018 Toyota Sequoia as you make your mark with this attractive model. Featuring a chrome grille surround and rear spoiler, this vehicle leaves the boring family vehicle status behind without compromising on functionality. Stability is enhanced through the available 20” Aluminum Alloy Wheels as you enjoy modern accessibility enhancements such as the running boards and power doors. Open up to the sky above through the power moonroof as you enjoy a source of fresh air and natural light. 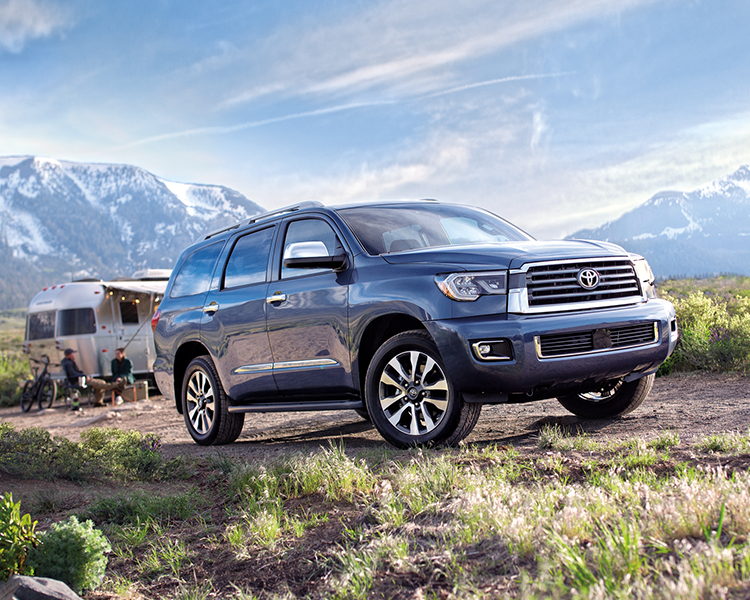 Connect on the go in the 2018 Toyota Sequoia as you engage with a 6.1” Display Audio System with Bluetooth capability and Advanced Voice Recognition. Together these systems provide you with hands-free access to your devices for calling, music search and much more. Never sacrifice your focus on the road as you drive with enhanced awareness and communication. Entertainment is delivered through the Integrated SiriusXM Satellite Radio and over 120 channels of commercial-free listening. Express your individuality in the 2018 Toyota Sequoia as you embark on each journey with ease. 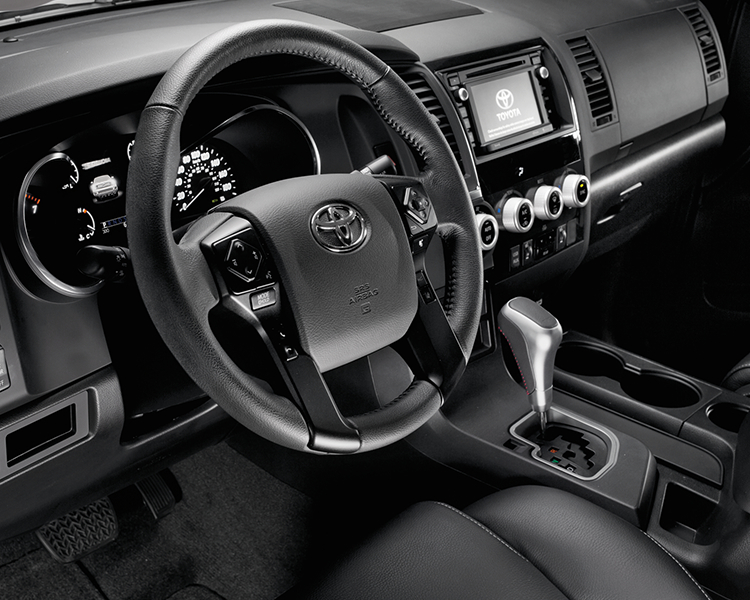 You are given a variety of Toyota accessories to enhance your functionality and style. Select from a series of cargo liners and organizers to keep your gear secure as you increase the protection of the exterior through elements such as a hood deflector. Mesmerizing capability is revealed with the 2018 Toyota Sequoia as you take on each challenge with anticipation. Featuring a 4WD Part-Time System and Active Traction Control, the Sequoia takes on a variety of terrains with ease. Fluid handling and responsive control are also provided as you select between the 6-speed automatic transmission or the Super Electronically Controlled Transmission. Modern capability and remarkable design details emerge with the 2018 Toyota Sequoia as you take on life’s challenges with excitement. Great for weekend getaways, or ploughing through your families to-do list, this vehicle brings together the functionality and style. 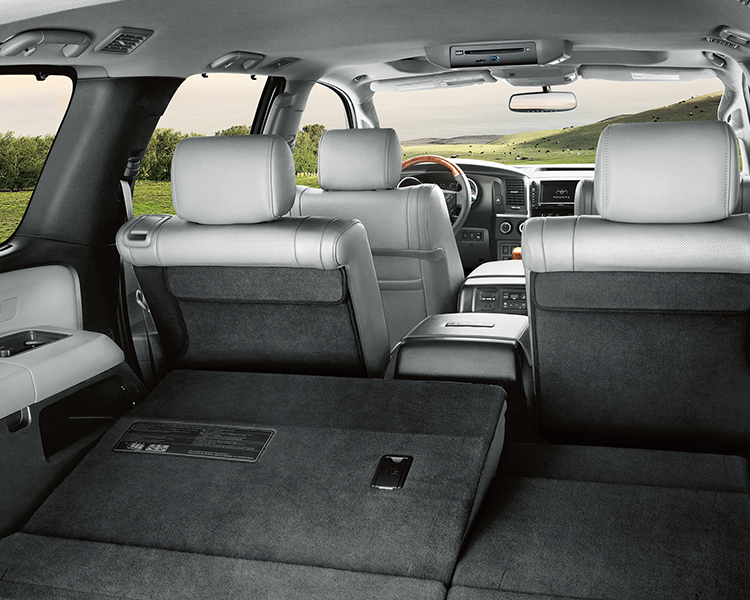 Gateway Toyota is proud to be your go-to spot for getting into the perfect fit for your family. Explore the 2018 Toyota Sequoia at your local Edmonton Toyota Dealer – Gateway Toyota as you experience life fully equipped.